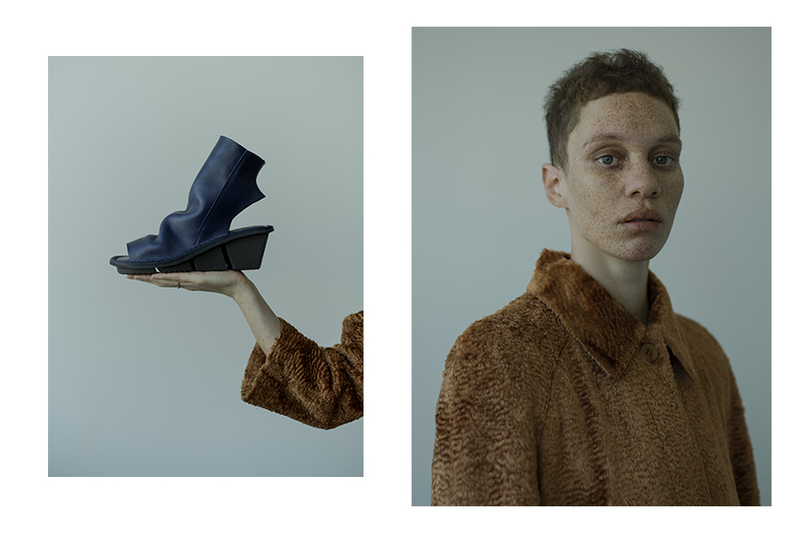 The design of Trippen’s shoes is based on the production process itself, driven by the motivation to provide a counterpoint to irresponsible resource use, unfair labour costs and poor working conditions. 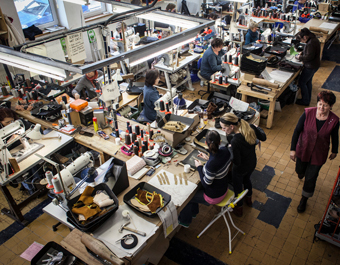 All Trippen shoes are today produced in the company’s own factory in Zehdenick, just 60km north of Berlin. This small village was home to a shoe manufacturing facility during the GDR era. 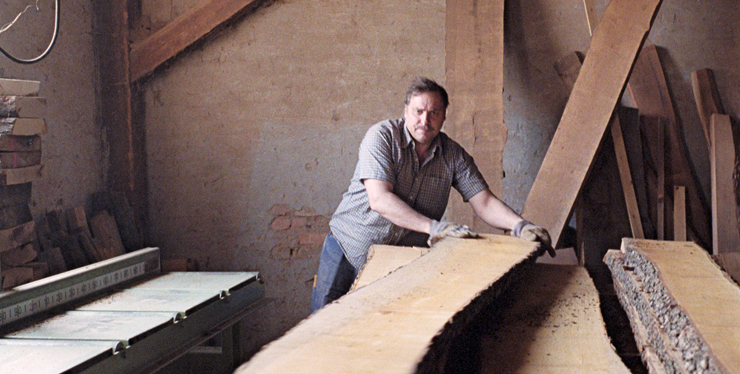 In 1998, Trippen opened its own factory in the with four former employees of the state-run enterprise. 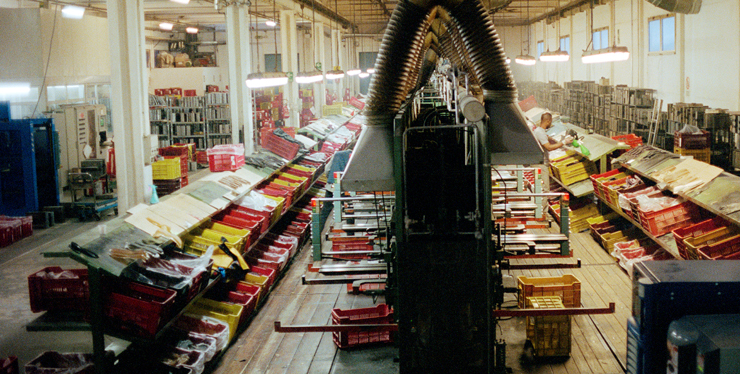 Today, more than 100 employees work in the factory, which prioritises fair pay and flexible working conditions. 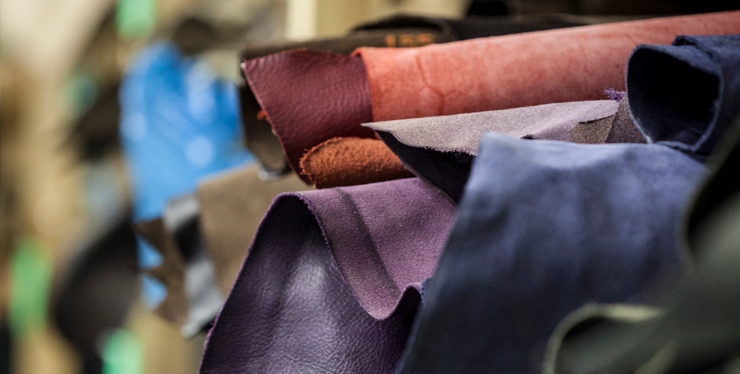 Trippen sources its primarily vegetable-tanned leathers from small tanneries in Tuscany. 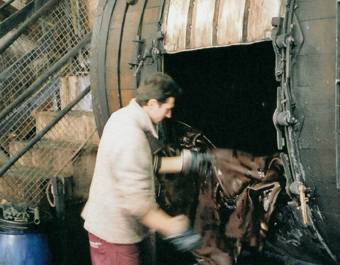 During the vegetable tanning process, plant fibres like tree bark are used instead of chromium salts to preserve the hides. These natural leathers are dyed through without a covering coat of paint and treated with a wax finish. Small marks and scratches are therefore part of the leather’s natural characteristics. 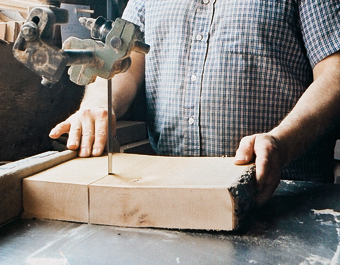 When developing their soles, Trippen prioritises the shoe’s longevity alongside the sustainable use of resources. 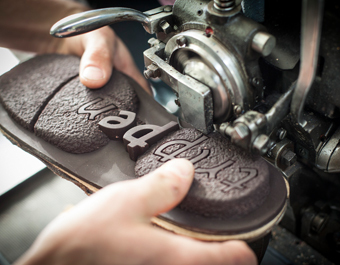 Most of our soles are made from rubber, which is is very durable, flexible, versatile and recyclable. 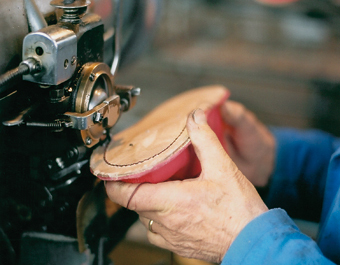 A resoling service is also on offer to further enhance the continued quality of Trippen shoes. 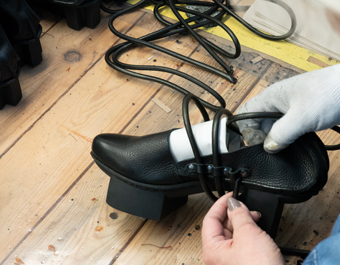 Twenty pairs are resoled per day on average in Germany, and five per day in Japan. 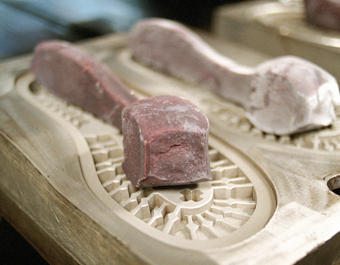 The nature of the wood determines the shape of each Trippen sole. 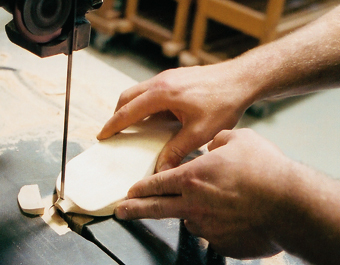 Alder wood’s sturdy nature makes it ideal for most flat wooden soles. Beech is very hard and robust and therefore suitable for soles with high heels. 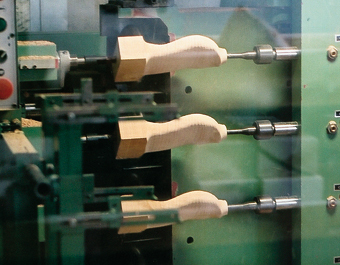 Poplar wood is extremely light and thus used for Trippen’s high platform soles. 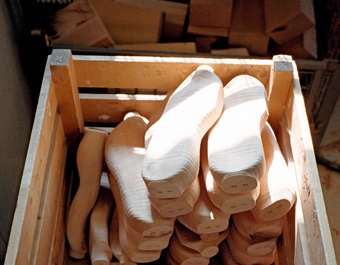 Altogether, the range of wooden soles encompasses over 27 different types.